Many travelers ask: When is the best time to visit Uganda. 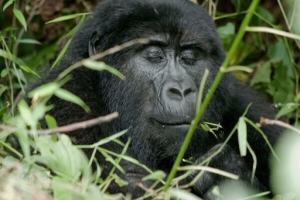 However since the Majority of the visitors that come to Uganda come to track mountain gorillas, then we should focus this much asked question to: When is the best time trek mountain gorillas. The best time actually to visit Uganda and trek mountain gorilla is the months of January, February, and from June to September. In fact during this season will have the opportunity to see various other types of wild animals. During the above mentioned months, the country is experiencing the dry season and therefore accessing the animals is really simple. Being an equatorial country, Uganda receives an Average amount of 1000mm and 2000mm of rainfalls annually in its wet season. Mountain gorilla trekking in Uganda is conducted in its southwestern parks of Bwindi Impenetrable Forest and Mgahinga National Parks. The Southwestern Uganda experiences two main rainy seasons one in April up to May and the other from October up to Novermber. 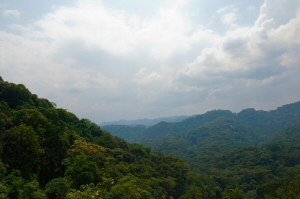 With this in mind, you can certainly determine the best time to see mountain gorillas. However, the northern part of the country does not offer as many tourist attractions as the south but also receives rain from April up to October. In general, it is not recommended to visit the country during the wet rainy season although even when you visit during these months you can still see the gorillas and some wild animals. Uganda is attractively wealthy and very fertile country; comprising of thick rainforests home to the mountain gorillas, and savannah plains home to the big cats. Uganda is a destination that can be visited all year around and you actually get the opportunity to see wildlife. On record Uganda has more than 342 wildlife species among which are internationally renowned great apes and gorillas that are frequently visited by several tourists. Highlighted below are some of the public holidays recognized by the Republic of Uganda. 9th October – Independence day, 1st May – Labor Day, 9th June – Heroes Day, 3rd June Martyr’s Day and 25th December Christmas Day. We recommend that you book all your travel-flights to Uganda earlier before the peak-season as chances are that you may actually fail to get one. Usually during the peak season, flight charges are slightly higher although the park fees do not change.